Based on the Hsia Calendar (夏历), Feng Shui 2019 starts on 4th February 2018 (year 4717th for Hsia Calender). It begins in the early morning on 4th February 2019 where we welcome Yin Earth Pig Flying Stars Feng Shui 2019 year ending Earth Dog 2018. Li Chun (Spring - 立春) falls on 4th February 2019 and opens a new beginning of Feng Shui Pig. It is advisable to know what dangers lie ahead like in these sectors - 3 Killings (232.5 - 307.5), Tai Sui (322.5 - 337.5), Sui Po (142.5 - 157.5), 5 Yellow (202.5 - 247.5), Robbery Star, illness Star, etc. It will be vital that you pay attention to all those bad stars sectors and good areas to activate for good fortune, wealth, career and relationship throughout the year in 2019. As you have been through each year and understand the bad effects of dangers that lurking in some areas but have good encounters of fortune in other directions as well. Yin Earth Pig 2019 can encounter some bad encounters with relationship, sickness, loss of wealth, misfortune, robbery, legal issues. Therefore it will be good to have the right preventive measures and precautions to gain good fortune and wealth instead. It is time to start planning as we welcome 2019 with the right mindset and prevention to help you to avert all bad situation and turning them into good fortune. So, are you prepare to take this challenge as we move into Yin Earth Pig 2019 Flying Stars Feng Shui? Prepare with the right positive-minded energy and cures in order for you to receive good fortune, health, wealth and relationship in 2019. Time to read more of Flying Stars for Yin Earth Pig 2019 and how you can prepare yourself and family members towards a prosperous and peaceful year 2019. Every person has his/her personal luck cycle and if you grab it at the right time then you will be rewarded in many different ways. 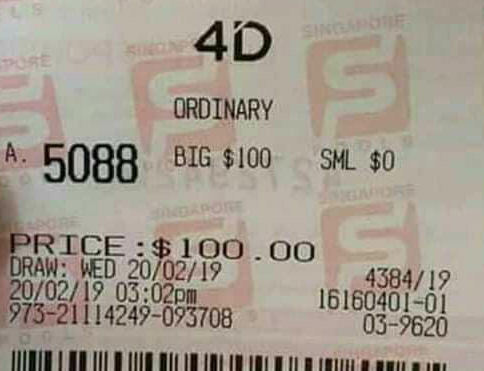 One of the way can be winning a small fortune with 4D lucky draw. Are you the right person to be able to grab the right timing for your fortune or simply let it slips away? We do come across quite a number of instances where our clients told us that they wanted to make a small bet when they were passing by the 4d booth but after seeing those long queue, decided to let it be instead. To their surprises, the numbers they intent to buy came out to be First Prize. 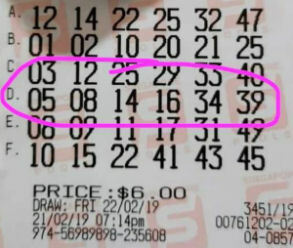 Well, they had the luck on that day but didn't grab it. We always believe that everyone has the fair chance of good luck and knowing when you can grab the opportunity will be what you need. Feng Shui is where you can learn what are your luck numbers with Bazi and knowing the right timing of the day. Not forgetting the month and year as well as the right hour plays a part in your good fortune. 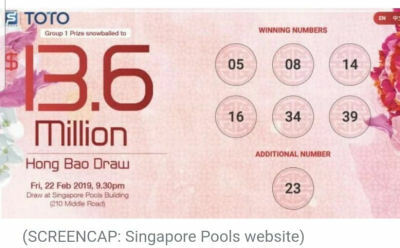 * Note - We have completed the latest Bazi for Toto lucky numbers and those of you who had purchased our previous version can go and update with the latest inclusion of the ebook. Time for you to have good luck in your life today! Time for you to HUAT!!! Remember to contribute to charity as a form of giving back to society and helping you to enjoy good fortune in life. Commonly asked by many Feng Shui fans about how to take the correct Compass or Luopan reading of your house. This is an example of how you can use a normal compass to take the Compass Facing Direction of your home for plotting the Flying Stars Chart. It requires you to take 3 sets of readings to compare before knowing the actual right direction of your house. 1. Standing 3 feet away from your front door, taking the compass with the needle pointing in the center of your door and write down the degree shown. 2. Standing 6 feet away from your front door, taking the second reading with the same procedure as above and write down the reading. 3. Standing 9 feet away and taking the 3rd set of reading and writing it down. Now you need to compare all the 3 sets of readings and make sure that it is not varied more than 15 degrees from each other otherwise you will need to retake those readings again. This can means that there are too much electrical interference causing those readings to differ some much. If the readings are still out then you will need to take those readings from outside your house to face your front door. Some times it is good to have readings taken from inside as well as outside your front door to make sure that you are having the same readings before you start plotting your Flying Stars Chart. This will ensure its accuracy and there will be no mistake about its facing direction. Latest News: Membership Club created for referral system to earn residual income and get discounts. Check it out today!